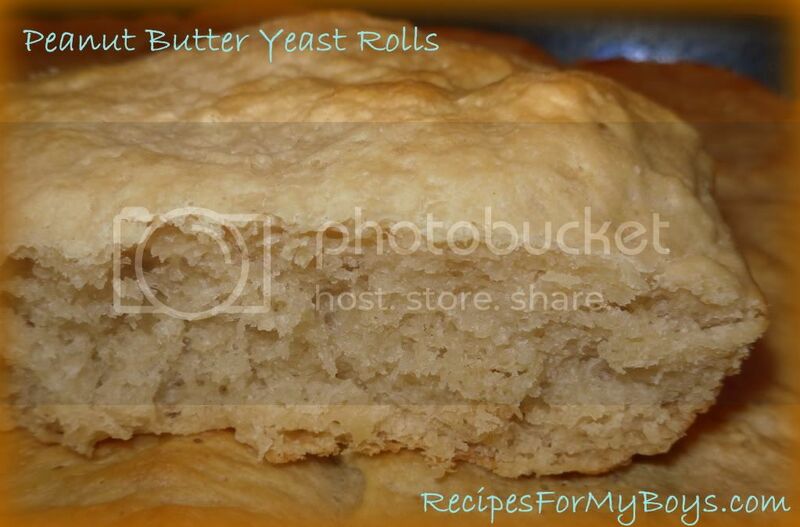 These turned out perfect and will very likely be the last go to yeast roll recipe you use. These would be perfect for buns, too. I'm thinking these would be a great addition to Easter, or any holiday. I haven't added the actual recipe to my blog, it is on Examiner.com. The link below the pictures will take you there. Enjoy! My family requested chili at 4 o'clock in the afternoon! I usually like to cook chili all day. Either simmering on the back burner of the stove or in a crock pot. I always have some sort of bread when I cook chili. It's not a stable at suppertime in our home but with chili, yeah, it is. Cornbread, garlic bread, white bread even. Surprisingly, this is great with a big bowl of chili! It's hearty with a peanut butter taste that isn't overwhelming. These make a great school lunch or snack after school. Just warm up and you have the taste of a peanut butter sandwich without the gooey mess. Stir together 2 cups flour, 1/2 cup sugar, 3 Tablespoons yeast and 1 teaspoon salt. Set aside. Heat milk and water to 110 degrees and pour into flour mixture. Add peanut butter and stir, adding enough flour to make a soft dough. Put dough on a well floured surface and knead, adding more flour as needed, for 4-6 minutes or until it is smooth and elastic. I used just shy of 4 cups. Now, run over and preheat the oven to 350 degrees F and then.. Put uneven, I mean, even pieces of cut dough on in pan. Let rise in a warm, draft free place until double in size, 30 - 45 minutes. I waited 30 and they were at the top of the pan. I had to get them in the oven before the storm came. Once doubled in size, cook for 10 minutes, turn pan and cook another 7-10 until done and lightly brown on top. I can never really tell about bread being done. I took mine out when they were light brown and they were done at 18 minutes. Eat them right away if you want the taste of a warm peanut butter sandwich. Oh, the microwave chili recipe will be posted soon. 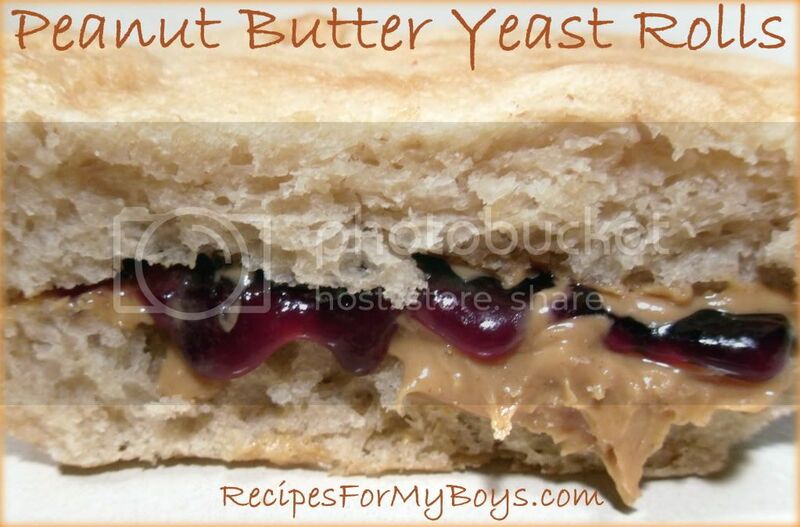 PB&J on toasted Peanut Butter Yeast Roll...Yeah, It's Good!